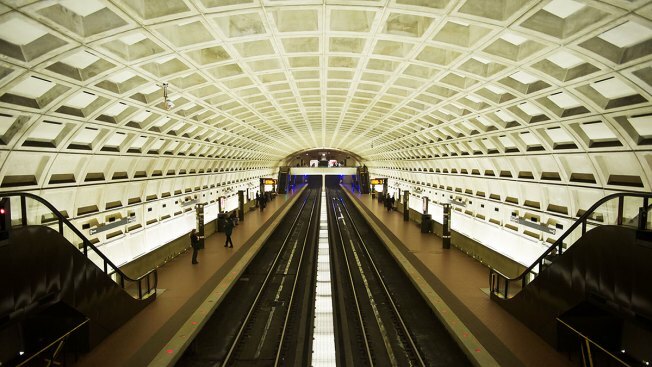 USDOT: Taking oversight of Metro is not "the wisest or fastest way to bring about the necessary safety improvements at WMATA"
The U.S. Department of Transportation (USDOT) has rejected a recommendation to take oversight of Metrorail. Late last month, the NTSB issued urgent safety recommendations to the USDOT, urging officials to place Metrorail under the watch of the Federal Railroad Administration, something not done with other subway systems in the U.S. It would been an unprecedented step -- but it's not going to happen. The USDOT has rejected the idea, saying in a statement that it's not "the wisest or fastest way to bring about the necessary safety improvements at WMATA." The statement continued: "While we have made similar findings of oversight and management deficiency in recent inspections and audits, we disagree with their recommendation for congressional action. It would unnecessarily complicate and delay safety improvements that WMATA workers and riders deserve." "We take all recommendations of the NTSB seriously, but in this case, the NTSB is recommending shifting safety oversight from one agency to another," theUSDOT's statement said. "And these agencies have different authorities and areas of expertise." While the Federal Railroad Administration oversees commuter rail lines, such as the Virginia Railway Express, it does not oversee subway systems. The USDOT said it will release a new plan for Metrorail soon. On Thursday, Metro's interim general manager admitted the transit system is "at a low point." Managers drew a direct relationship between the system's reliability struggles and falling ridership, which has dropped five percent over the past five years. "We have obviously had our troubles in providing reliable service, and I think people think about that when they know they have to go from point A to point B and they need to be there at a specific time," interim general manager Jack Requa said. Metro has faced criticism and rider backlash over the past several years regarding at-times unreliable service, breakdowns and smoke in tunnels. In January, a woman died and more than 80 were sickened after a Metro train became stranded in a smoky tunnel outside the L'Enfant Plaza station. Metro said it attempted to get the stuck train back to a platform, but couldn't due to electrical malfunctions. Congressional leaders said the incident should be a wake-up call for Metrorail.